Yesterday I attended Candidate Training with Kevin Winchell in Palm Beach County. He referred to Wellstone Training and it for a moment I was terrified that I had not thought about Paul Wellstone for a very long time. TIme passed and people become a blur because they are not in front of us on 24 hour news cycle. This is one person we can never ever forget. 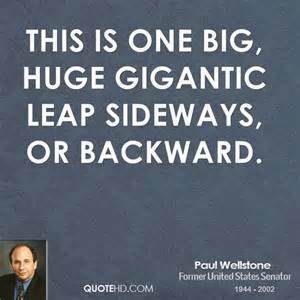 Paul David Wellstone (July 21, 1944 – October 25, 2002) was an American academic and politician who represented Minnesota in the United States Senate from 1991 until his death in a plane crash in 2002. 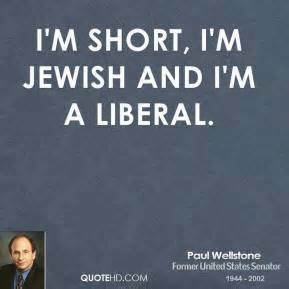 A member of the Democratic Farmer-Labor Party, Wellstone was a leading spokesman for the progressive wing of the national Democratic Party. 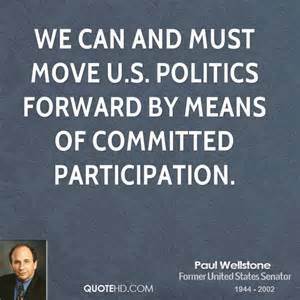 In 1998, Wellstone formed an exploratory committee and a leadership PAC, the Progressive Politics Network, that paid for his travels to Iowa and New Hampshire, two early primary states in the nomination process. He spoke before organized labor and local Democrats, using the slogan, “I represent the democratic wing of the Democratic Party”. Governor Howard Dean later incorporated that phrase into his stump speech in the 2004 US presidential election. On January 9, 1999, Wellstone called a press conference at the Minnesota State Capitol. Despite expectations that he would announce his candidacy, he stated he could not muster the stamina necessary for a national campaign, citing chronic back problems he ascribed to an old wrestling injury. His pain was later diagnosed as multiple sclerosis. 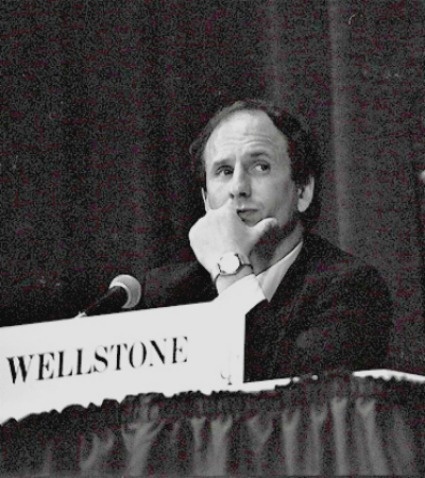 On October 25, 2002, Wellstone, along with seven others, died in an airplane crash in northern Minnesota, at 10:22 a.m. He was 58 years old. The other victims were his wife, Sheila; one of his three children, Marcia; the two pilots, his driver, and two campaign staffers. The airplane was en route to Eveleth, where Wellstone was to attend the funeral of Martin Rukavina, a steelworker whose son Tom Rukavina served in the Minnesota House of Representatives. Wellstone decided to go to the funeral instead of a rally and fundraiser in Minneapolis attended by Mondale and fellow Senator Ted Kennedy. He was to debate Norm Coleman in Duluth, Minnesota, that same night. In 2007, former First Lady Rosalynn Carter joined with David Wellstone to push Congress to pass legislation regarding mental health insurance. Wellstone and Carter worked to pass the “Paul Wellstone and Pete Domenici Mental Health Parity and Addiction Equity Act of 2008” which requires equal coverage of mental and physical illnesses when policies include both types of coverage; both testified before a House subcommittee regarding the bill in July 2007. David said of his father, “Although he was passionate on many issues, there was not another issue that surpassed this in terms of his passion.” Because Paul Wellstone’s brother had suffered from mental illness, Wellstone had fought for changes in mental health and insurance laws when he reached the Senate. The Paul Wellstone and Pete Domenici Mental Health Parity and Addiction Equity Act of 2008 (a part of Division C) mandates that if U.S. health insurance companies provide coverage for mental health and substance abuse, the coverage must be equal for conditions such as psychological disorders, alcoholism, and drug addiction. This act continues and expands upon the previous Mental Health Parity Act of 1996. It states that financial requirements such as deductibles and copayments and lifetime or dollar limits to mental health benefits and substance abuse disorder benefits should be no more restrictive than those on medical and surgical benefits. MHPAEA applies to employer-sponsored health insurance plans with more than 50 employees, though parity is also extended to small group and individual plans under the Affordable Care Act. He would have loved Obama Care because people like his brother could get the care he deserved. “When today’s progressives remember Paul, they tend to focus on his sheer political courage. Paul was the only senator up for re-election in 2002 to vote against the Iraq War — a vote he told people he was convinced would cost him his job. One of Paul’s most famous quotes is this: “Politics is not about power. Politics is not about money. Politics is not about winning for the sake of winning. Politics is about the improvement of people’s lives. The big fights — war and peace, justice and liberty — are important. But there aren’t any small fights. And where Paul made the biggest impact — where his work resulted in the greatest improvement of people’s lives — was on issues that don’t usually lead anyone’s stump speech: mental health, domestic violence, homelessness among veterans. Paul’s brother, Stephen, had struggled with mental illness since he was 19. And Paul knew that many people who suffered from mental health problems were forced to suffer all over again because their insurance companies wouldn’t cover the treatments they needed. Paul’s own parents spent 20 years paying down the bill for Stephen’s treatment. So he found a Republican with a similar first-hand understanding of the problem, New Mexico Senator Pete Domenici, and the two introduced legislation that would require insurance companies to treat mental health the same way they did physical health. Paul didn’t live to see mental health parity become law — but it did (thanks in large part to another Republican colleague, Minnesota’s Jim Ramstad), and that crusade has improved, even saved, millions of lives. 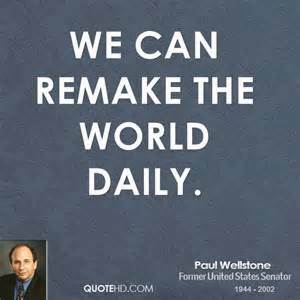 I’ll never forget the day that Paul Wellstone died. I can never forget this. Amazon reminded me that I bought this book before. I bought it October 2002. Let’s not forget this awesome man. This entry was posted in environmental, mental illness, politics and tagged idologue, iraq war, jewish, librael, New Mexico Senator Pete Domenici, paul wellstone, progressive, universal health care, wellstone training. ← Get to Know Know Your SFWMD Board of Governors: Rick Barber: Welcome to Waterworld!